If you are a small business owner, you have the choice of financing your car through your business or using a Personal Contract Purchase (PCP). It's essential that you do have a vehicle in most small businesses as there would be no business without this key transport. Yet business car loans are often much cheaper than a personal contract purchase. Let's take a look at how we can optimally balance these considerations. 1. What will the car be used for? This question is really important because it not only determines what type of car you should buy, it also helps to determine which type of business car finance will be the most cost-effective. Remember, the car is an asset to the business. Choose a car that performs the tasks you need to get done in a practical, efficient way for the best return on investment. Factor in the cost of insurance, registration, fuel and ongoing maintenance when considering different car models. If a small car or a hybrid will do the job, you can send the message that your business is environmentally conscious. 2. Is it better to buy new or used? Do you need to buy a new vehicle, or is buying a certified used car a better financial decision? How fast your business vehicle needs change over time. If you expect to do high mileage each year, you may choose a car lease to ensure the vehicle is replaced with a reliable new model at regular intervals to keep your business running consistently. 3. What's your cash flow like? If you rely on seasonal cash-flow, then a chattel mortgage used to purchase a second-hand vehicle with flexible repayments that fall due when your income flows in might be a better fit than a lease agreement. Do you want to own the vehicle? While a lease can be cheaper and give better cash flow for businesses with a steady income, a chattel mortgage allows the business to purchase the vehicle title outright and is usually less expensive overall. When you lease through a limited company under your VAT, you'll need to pay company car tax or the fixed car-tax rate, which is often cheaper than the personal tax. 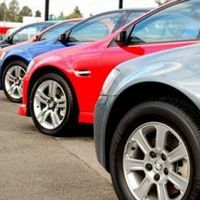 Company car tax is calculated based on the vehicle CO2 emissions, the P11D value of the car (list price plus the cost of options and delivery charges) and your personal tax bracket if you use the car for personal journeys too. Lease payments made on the car loan are deductible through Corporation Tax, so check with your accountant to see what savings you can make. If the business is VAT registered, you can claim back part of the VAT too. 5. Do you want to pay out the loan early? When you purchase an asset that you intend to keep in the business, you might want to finalise the loan if you have a boost in income to free up your capital for other purposes. In this case, a chattel mortgage might be a good loan option as it usually comes with flexible payment options and smaller payout fees. An unsecured personal loan should be a last resort to purchase a car for business use. This is because they usually attract higher interest rates, and often only provide small funding amounts.